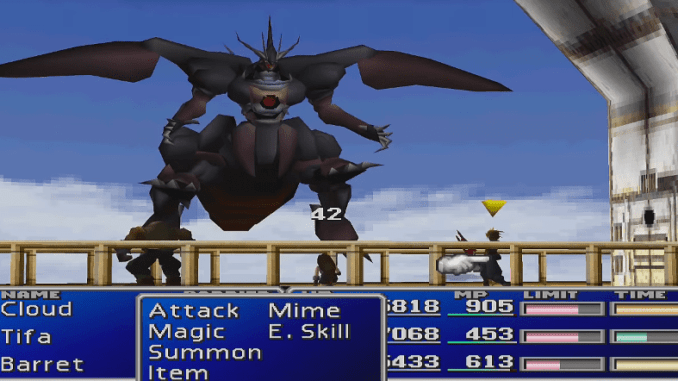 A boss guide for Ultimate Weapon in Final Fantasy (VII,) including boss stats, attacks, and strategies on defeating it. A powerful attack that deals damage to all party members. Ultimate Weapon unleashes a devastating attack that deals heavy damage to one opponent. The boss will use this move to its last attacker before dying. 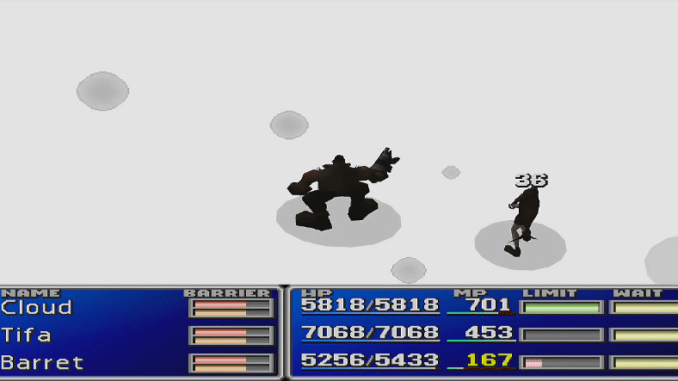 Ultimate Weapon is fought multiple times, running away after each encounter. Below are the locations where Ultimate Weapon can be found. Its last location will be in Cosmo Canyon. 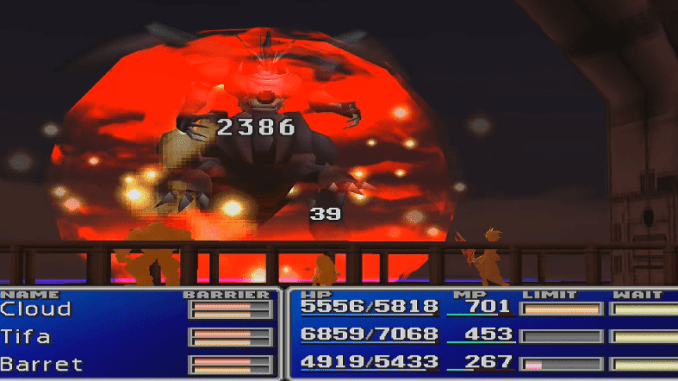 Ultima Weapon has various powerful attacks, most notably Shadow Flare. Start the battle with Big Guard for defense. Have ranged characters use physical attacks while the rest of the party bombards it with lightning magic. When you find yourself low or debuffed, use White Wind. Reapply any defensive buffs you need and continue hitting it with lightning magic to win. Note that you can obtain the Shadow Flare Enemy Skill from the boss as well. 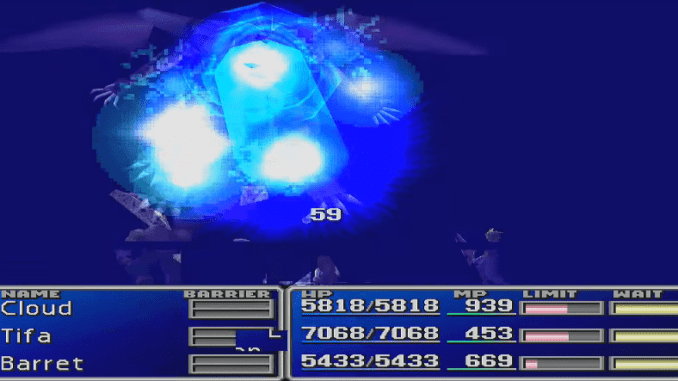 The boss will use this as a final attack before dying, targetting the party member who dealt the final blow.